If you’ve never seen a cat do the “Halloween Cat” pose before it can be a bit alarming and cause for concern…after all it looks so unnatural, as if something might be mentally wrong with the cat. But rest assured, this is a completely natural pose, and just about every cat will do it at some point in their life. In the Halloween Cat pose, cats will stand sideways with their back arched and their fur standing straight up with their tail stiff and curved down. They’ll often hop with their entire side facing forward and head turned to look at what they’re posing towards. 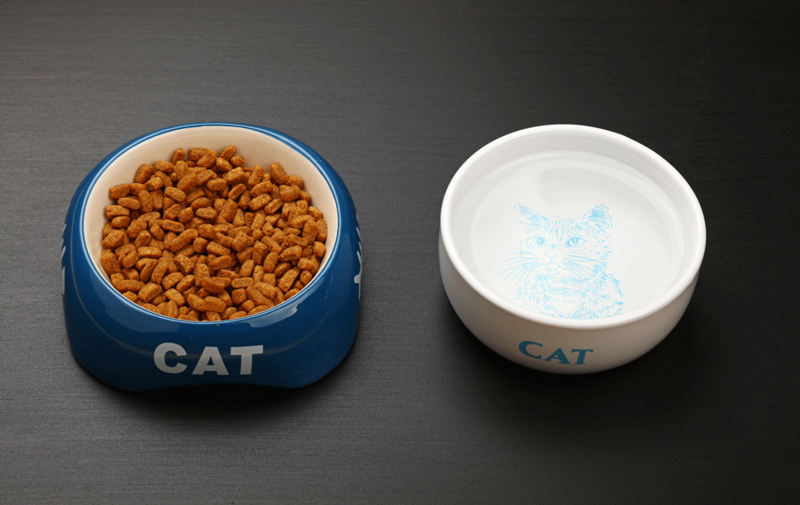 Sometimes they’ll even walk on their hind legs. 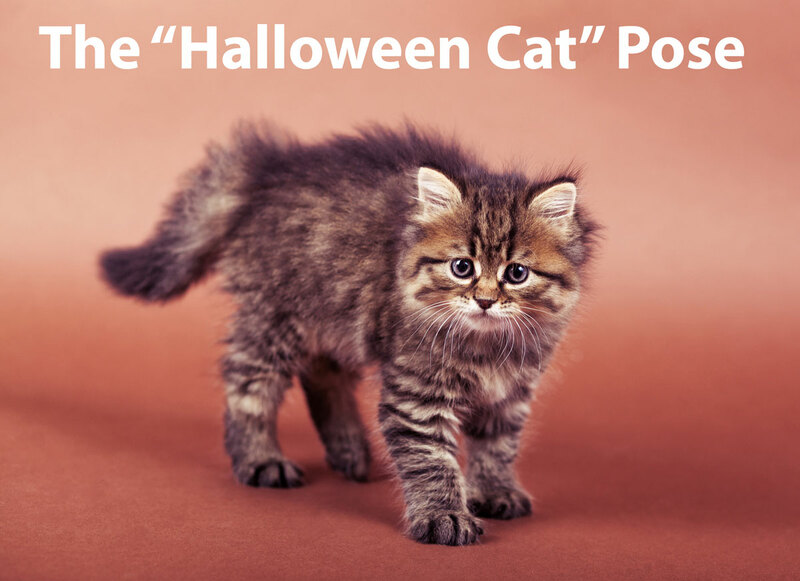 Why Do Cats Do the Halloween Cat Pose? There are plenty of videos on the internet of cats doing this funky pose, but what does it mean? 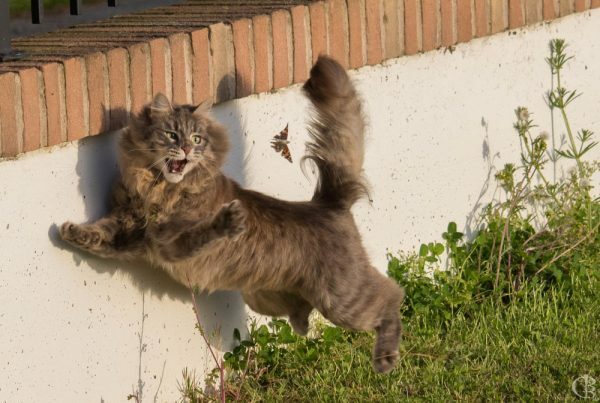 Cats will either do this when they’re scared or playful. If they’re scared, they’ll usually also be hissing or growling and showing their teeth with their ears folded back, a display of aggression and threat to attack. If they’re just playful, they’ll usually be hopping around, going in and out of the Halloween Cat pose as they’re playing. 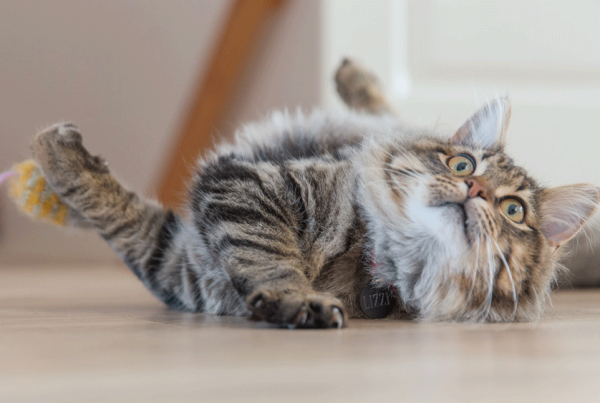 If you catch your cat doing this playfully towards you, it’s likely an invitation to play. 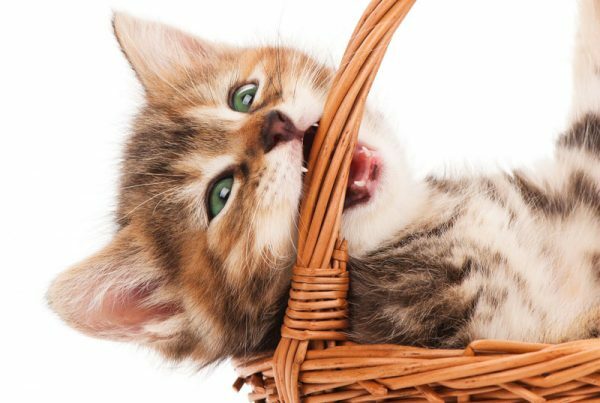 Kittens are more likely to do the Halloween Cat pose, but even playful adult cats will do it.